Big Red Stables is located on a third generation, family-owned farm in the heart of Kentucky’s famed Bluegrass region. For more than 30 years, Big Red Stables has welcomed passionate horse enthusiasts and beginners alike to experience real horseback trail riding on gentle, gaited Tennessee Walking Horses. We welcome you to experience Kentucky at its best - on horseback! Emily is a third generation part owner and manager of the family farm, Baile Mam (Irish for “mom’s home”). Emily’s mom, Judy Burks, started Big Red Stables in the late ‘80s as a means to keep horses on the farm. A veteran rider, it’s now Emily’s turn to share the horses and farm with others. A lawyer by day, Emily’s true passion is horses, the farm, and all that goes with them. Drew never realized when he married a lawyer that he was actually marrying a farmer. Today, an accomplished rider in his own right, Drew loves helping those less familiar on horseback feel right at home. Our horses are part of our family. Our herd of responsive, gentle Tennessee Walking horses will carry you safely at all paces across our more than 200-acre farm, or at nearby Shaker Village or Eagles Nest Equestrian Trails. 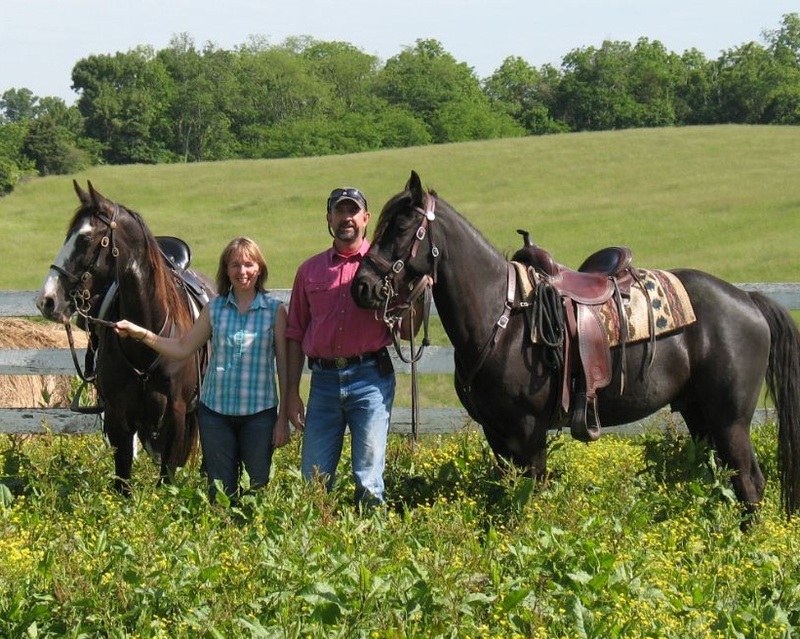 Drew and Emily will work to pair you with the best horse for your individual riding style. Please note - for safety reasons, we have a 12 year old minimum age limit and 225 lbs. weight limit (with some exception for children in a lesson program or very tall persons). A mix of rolling hills, flowering meadows, and ancient creeks in the heart of central Kentucky, Baile Mam Farm is a little slice of heaven on Earth. We invite you to slow down and discover the unique beauty of this part of the world as it was meant to be discovered - on horseback.